Orchestra - Orchestra seats are the closest seats to the stage and offer a fantastic view of the action. 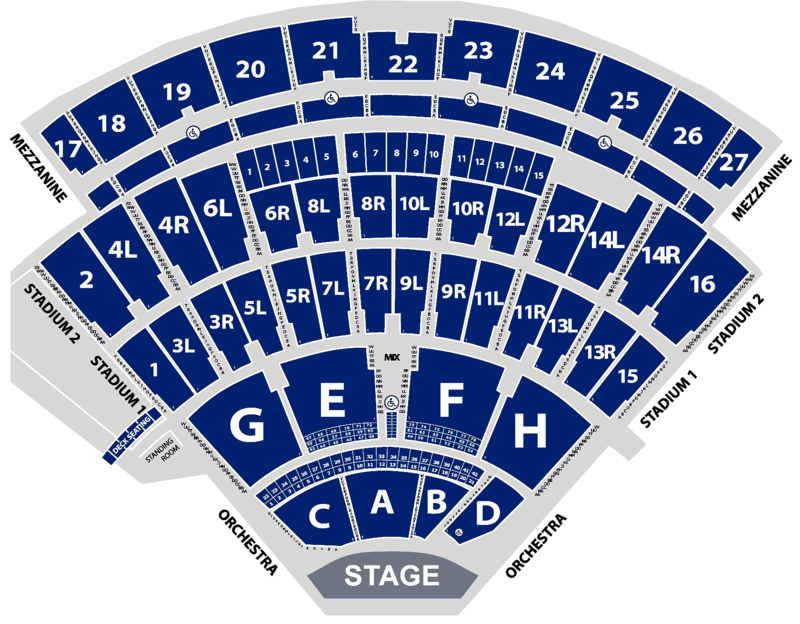 These seats are divided into alphabetical sections (A-H), with A-D being the closest to the stage.Each section has anywhere from 19-21 rows. There are premium seats in sections A,B,C,F, and E.
Stadium Seats - Stadium seats are broken into two sections, Stadium 1 and Stadium 2. Each section is divided into numerical sections (1-16) and some are broken into a Left or Right division. The odd numbered sections comprise Stadium 1 seats and are the closest to the stage. There are 16 rows each, broken down by letter, and they all offer a wide and excellent perspective on the show. Box/VIP Seats - Box seats are situated in the middle of the Orchestra seats and offer a premium view on all of the action on stage. 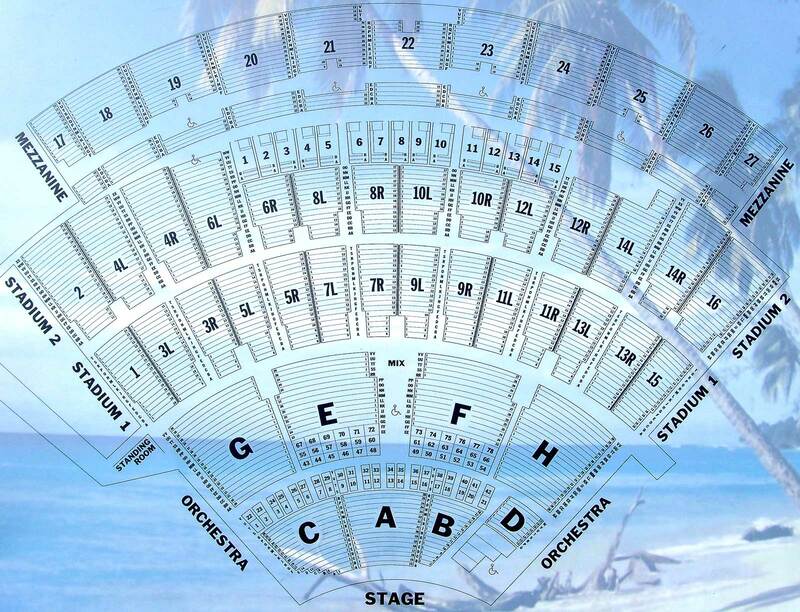 There are 78 boxes, with the first 42 being the closest to the stage, and these are considered VIP seats. If you're driving to the concert, the Northwell Health at Jones Beach Theater usually offers free parking for concert ticket holders in Field 5.